Photo by George Silk, 1958 via The LIFE archives. 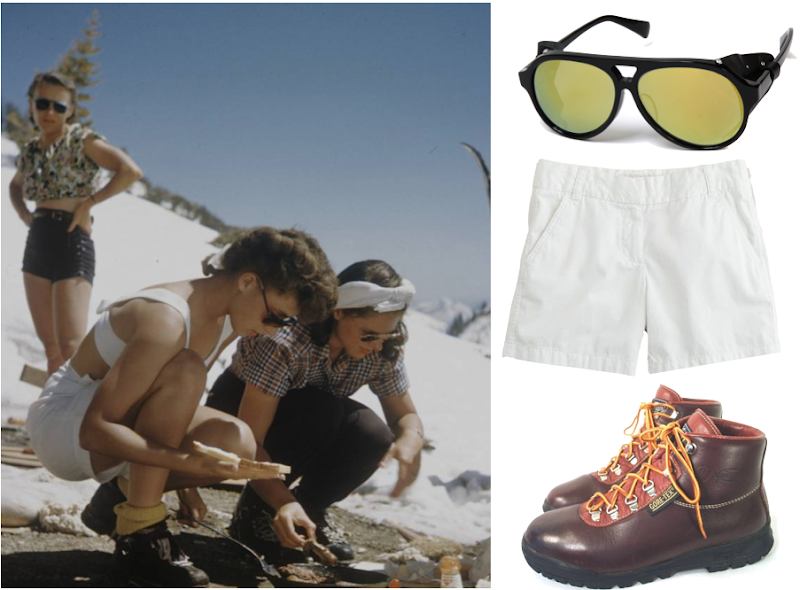 Phosphorescence X Rockers NYC glacier sunglasses ($360) or similar Julbo glacier glasses ($80); Chino shorts ($43); Vasque Sundowners ($160). Perfect pics. You did it again! Those sunglasses from Colette are now on my wish list big time! This is perfection. All the cute boys in high school (in flat old Kansas) wore Vasque Sundowners for all their climbing adventures. They scuff up perfectly.